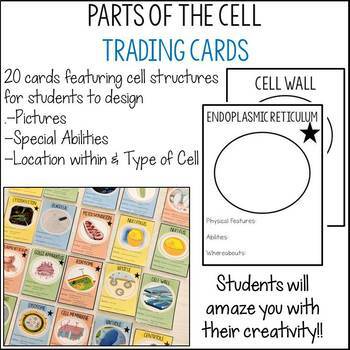 This set of 20 cards can be used to review structures that make up cells. Use some or all of the cards provided. Each card features the name, place for an illustration, description of physical features, “special abilities”, and where this structure is located. There are also 4 blank cards included in case you’d like to add more specific structures. Students will amaze you with their creativity! 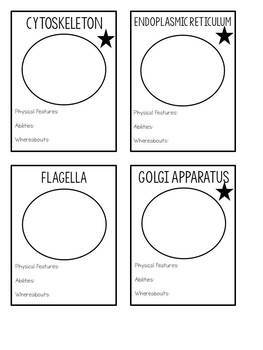 I have had students physically draw/write out their cards, and have had students edit a PDF or PowerPoint file. Make it fun! Students enjoy showcasing their talents and competing to make the best cards.